The painter as poet: A world of floating symbolsFor Marc Chagall (1887 1985), painting was an intricate tapestry of dreams, tales, and traditions. His instantly recognizable visual language carved out a unique early 20th-century niche, often identified as one of the earliest expressions of psychic experience.Chagall s canvases are characterized by loose brushwork, deep colors, a particular fondness for blue, and a repertoire of recurring tropes including musicians, roosters, rooftops, flowers, and floating lovers. For all their ethereal charms, his compositions were often rich and complex in their references. 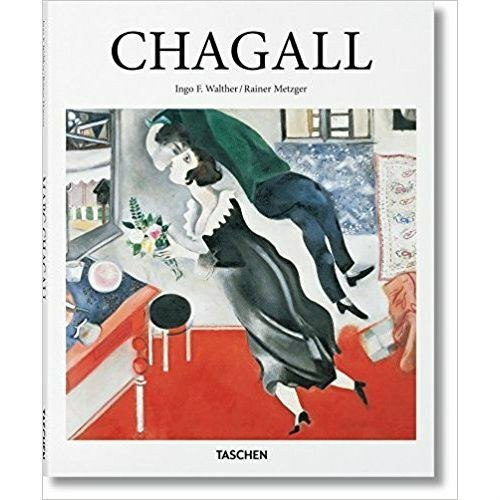 They wove together not only colors and forms, but also his Jewish roots with his present encounters in Paris, markers of faith with gestures of love and symbols of hope with testimonies of trauma.Across scenes of birth, love, marriage, and death, this dependable artist introduction explores the many versions of Chagall s rich vocabulary. From visions of his native Vitebsk in modern-day Belarus to images of the Eiffel Tower, we explore the unique aesthetic of one of the most readily identifiable modern masters and one of the most influential Jewish artists of all time.About the series: Each book in TASCHEN s Basic Art series features: a detailed chronological summary of the life and oeuvre of the artist, covering his or her cultural and historical importance a concise biography approximately 100 illustrations with explanatory captions"